Shopping for a curling iron can be overwhelming. There’s a plethora of them on the market, it’s hard to decide which brand is good, and what size barrel to choose from. At Meraki Hair & Makeup Studio, we only carry the best on the market. We'd love to chat about curling iron size, heat setting, how to clean your curling iron as well as what makes Paul Mitchell’s curling iron so great. First thing’s first, are you using the correct size curling iron for your hair? There’s many different sizes to choose from. The size to use depends on your hair length and the look you are trying to create. A short version of the guide is: use a ½” – ¾” barrel for small curls, 1” - 1 ½” barrel for beach waves or loose curls or a 2” barrel for even looser curls. Here’s a further look based on your hair length. Short Hair: If your hair is shorter than shoulder length then you’ll want to keep reading this part. To achieve curly hair, you’ll want to choose the ¾” barrel curling iron. Or, if you’re looking to achieve wavy hair or a loose curl choose the 1”. Medium Hair: If your hair is shoulder length, you’ll want to want to use a 1” barrel curling iron to get curly locks. Use a 1 ¼” barrel curling iron to create waves. Long Hair: If you have long locks, you can get curls with a 1 ¼” barrel curling iron. And, if you’d like waves choose a 1 ½” barrel curling iron. Create beach waves by using smaller sections of hair when curling. To get glamorous, smooth waves use larger sections of hair. Now, that you have the curling iron of choice, what heat settings should you use? If your hair is color treated, fine or fragile you’ll want to use a low setting, below 200°. If you have curly, coarse or thick hair, you’ll want to use a higher heat setting, between 200-300°. 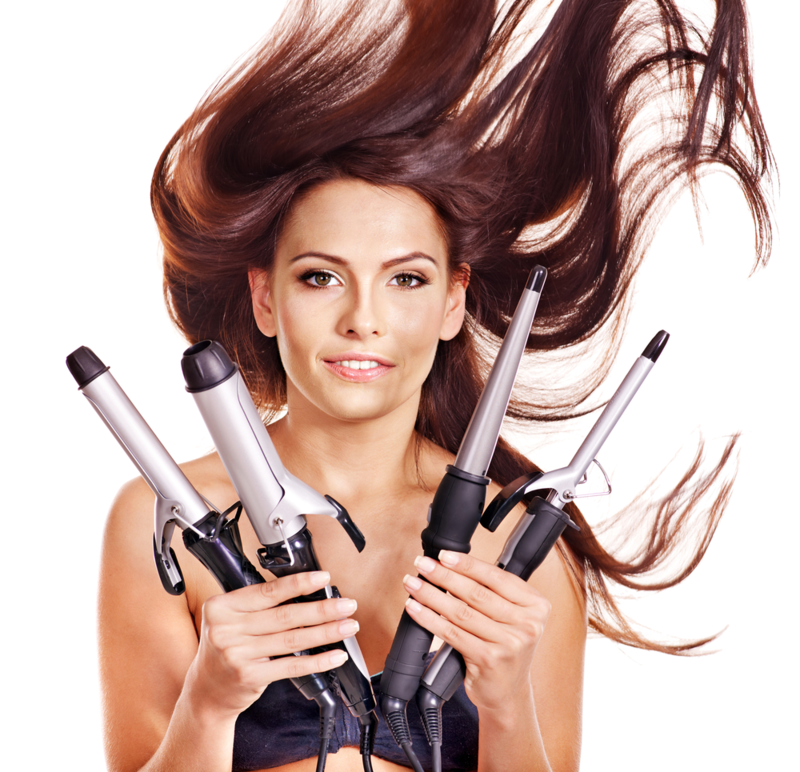 While your curling iron may go over 400°, you shouldn’t subject your gorgeous locks to that kind of heat. It isn’t something we often think about, but cleaning our curling iron is important. They begin to build up product, dust and dirt. All you need to do is wipe it with a damp towel when it is cooled and unplugged. You can also purchase a styling iron cleaner if you’ve neglected to clean it for a while. And voila, it's ready for more styling use! Paul Mitchell’s Express Gold Curling Irons have a gold surface that distributes heat evenly. This allows for consistent and long-lasting curls. It also protects and seals in moisture to add extra shine to your hair. Paul Mitchell’s Express Iron Curl has a ceramic heat delivery system. It prevents cold spots for faster styling, and it helps to hydrate the hair while adding shine.